Hi everyone! I’ve got the second polish to share with you all from Superchic Lacquer’s Spring 2015 ‘Serendipity’ Collection! If you want to see these polishes head over to my Instagram account – I shall be posting swatches there first! This collection is filled with bright, neon pastel shades and it does not disappoint! When you see all 8 shades you’ll quickly see that this collection will lend itself nicely in the summer months as well. 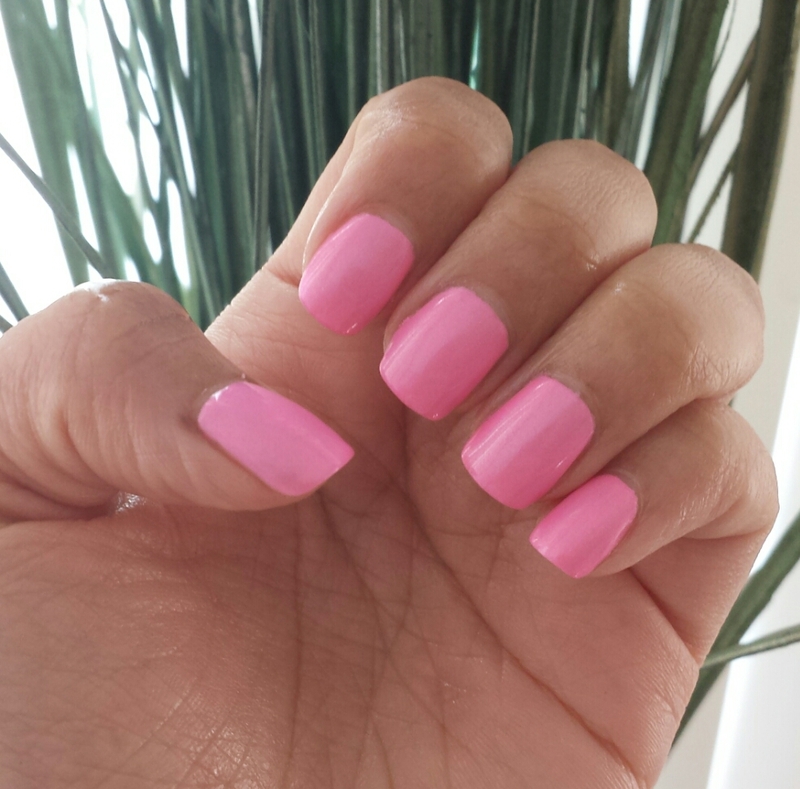 And if you are a pink nail polish lover….feast on your eyes on this polish! Superchic Lacquer ‘Happenstance’ – is described as an ‘over the top, hot popping bubblegum pink’. This is a bright hot pink that dries to a semi-matte sheen which a sophisticated shimmer. This polish gives me an INSTANT tan, I LOVE IT! That is saying a lot, if you’re familiar with my Youtube channel, I’ve mentioned several times that I’m not a huge pink nail polish person, the ones that I love are more on the pastel side or very neon…this is a combination of BOTH!! So this is love at first sight for me! This was opaque on three coats; the first coat applied a bit patchy but it dried very quickly! On the second coat I had a few bald spots (I am heavy handed in application) but after three coats it was simply LOVE. One of the things I love about this polish is that it doesn’t have a blue shimmer, typically with these types of pastel-neon polishes nail polish makers add in a blue sheen. I am not a fan of it but this has a very refined silver shimmer that looks like a cool sheen – I’m excited to wear the Liner Holo Top Coat with this one!! If you like bright, fun colours you will LOVE THIS polish – I personally can’t take my eyes off of it! I’m wearing this as my pedicure as well!! 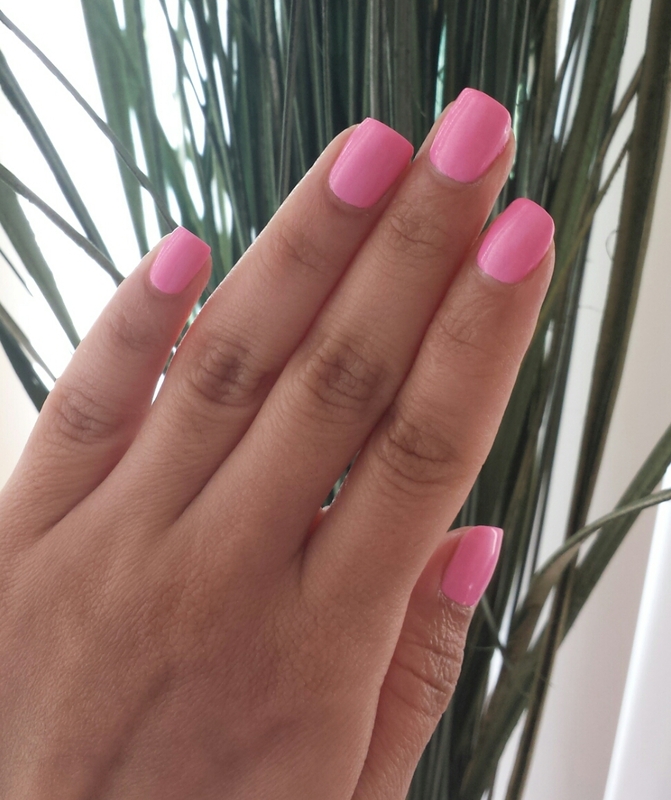 I’m wearing a top coat with this manicure; this pink converted into wanting to wear all my pinks now – that’s saying A LOT for a pink polish to have such an impact! Awww thank you hun! And just followed your blog! Looking forward to your posts. Blogging is so much fun, forgot how much I missed it!